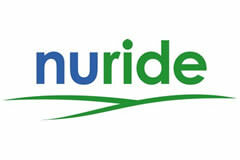 Any NuRider can search for or post rides that can be seen by any other NuRider – that is, you could find a ride (or be contacted by) a non-Ramapo user. However, with Ramapo as your starting (or ending) point you are likely to only locate Ramapo NuRiders. If you are searching for a commuting carpool, bear in mind that you could ride with different people in the morning and evening – that is, have two different carpools. have some company while you travel! Get free stuff! For each completed ride with feedback submitted, you will earn points for vouchers/discounts at area retailers. Any time you send a message to a NuRider, they will be able to see your email address in order to reply to you. Users provide feedback about each other. If you don’t show up, you will get negative feedback! You are not obligated to share a ride with anyone. You might want to meet your potential ridesharer ahead of time in the cafeteria if you don’t know them. NuRide enables you to set up ‘buddy lists’ to facilitate carpooling among a more restricted pool than the entire NuRide community. Please refer to the NuRide member agreement for more information and tips. Neither Ramapo College or NuRide (or any of its partners) have any responsibility, liability or obligation with respect to any of the NuRide trips that you may take.